1824 people have said thanks to MaryLou & Numenor for this download. 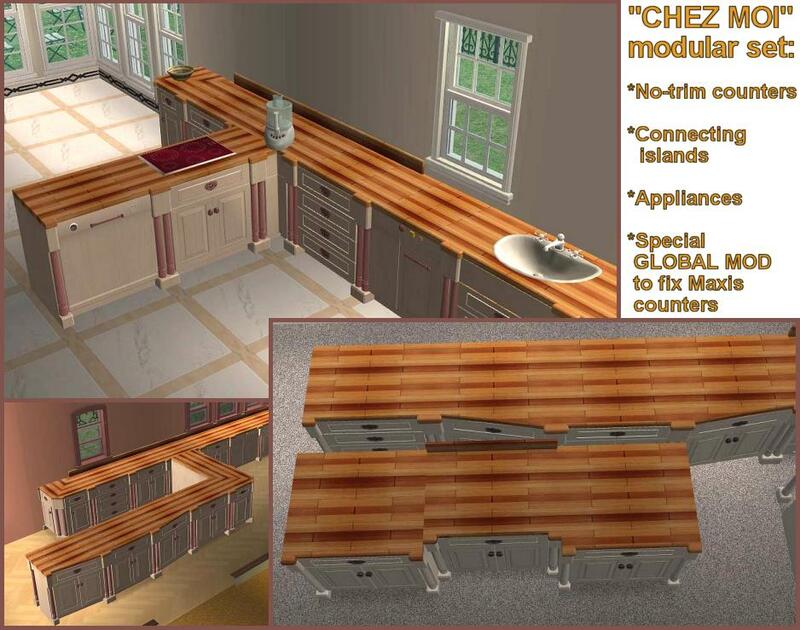 This is as great as the other kitchen modules! Thank you for the hard work on it and for sharing! Anyway... thanks for yet another fantastic creation! This looks amazing! It's great to have another set like your "counter culture" set. 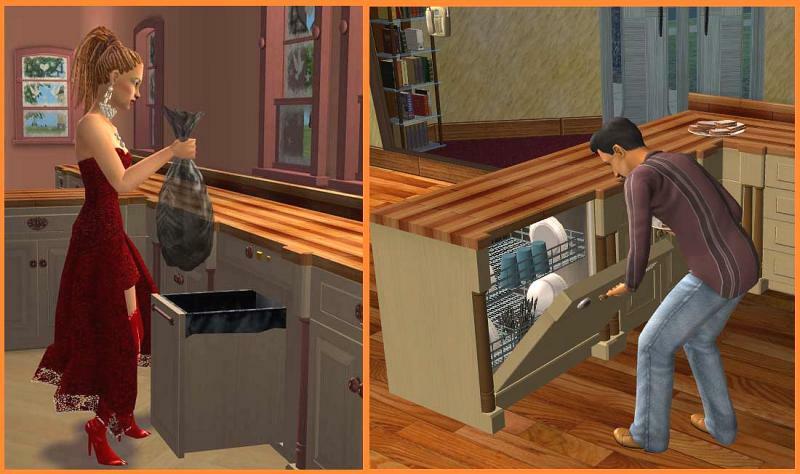 You guys are really improving sim kitchens. Thank you! Unbelievable! This is such an incredible add-on to the kitchen set you have given. What a wonderful imagination you two have to have come up with this. Your work is just fantastic. im having a problem... ....the dont make corners...the "regular" cpunters...a little shighn pops up wear the corner should go and it says somthing to the effect of "modthesims2 corner file needed" or somthing..ill take a pic tomorrow...but i se no "cormer" file listed in the thread...i got counters and islands...global mod.and appliances to i thinkl.....can i have the mod and counterts at once? 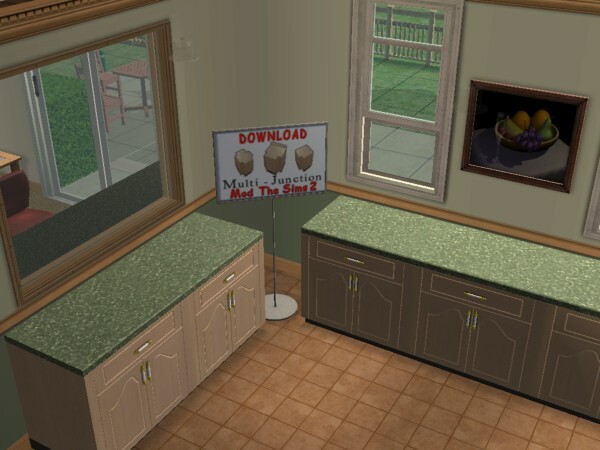 asnd i also noticed no change in the regular maxis countres...but idiny use them in play...i was buiding a house and noticed these. *oh and also..i dont have the slanted counters....i have no idea what i need or dont need! I know you believe you understand what you think I said, but I'm not sure you realize that what you heard is not what I meant! 7 zip, The only archive program you'll ever need again. [almost] Unemployed housewife living in the middle of nowhere, of course I have time to do that. I do take requests, but due to winter storms, time frames are unreliable. But hey! I take requests! WOW! Good job and thanks for sharing. Amazing!! Just a dream come true..
"If you don't live for something...You'll die for nothing.."
I am having the exact same problem with Chez Moi set, counter culture set and way coolinary set aswell. o thank you daisys! thats exactly whats happening to me! what is wrong? is ther a seperate file we need? where is the file we need to download to solve this problem? I'm so glad to see that I'm not the only having these issues with these great counters, Daysies & Sim~Obsessor. 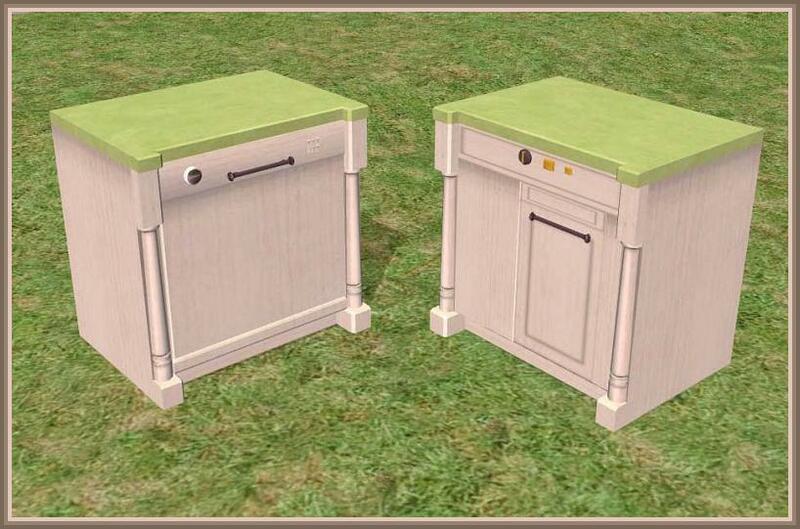 These are such BEAUTIFUL & creative pieces that I just couldn't wait to get them in my game and make a whole new kitchen look but alas when I went to join my first corner together, I got the little sign saying exactly what Daiysies' & Sim-Obessor's was saying. Any help anyone can offer, I would greatly appreciate! Oh, BTW . . . I just LOVE all the creations that come from all the talented people of this sight! I am constantly amazed at the beautiful items that are generated from everyone! Keep up the good work! I have the "download multijunction" gimmick too. Was this part of a scrapped project? You two are freaking geniuses. 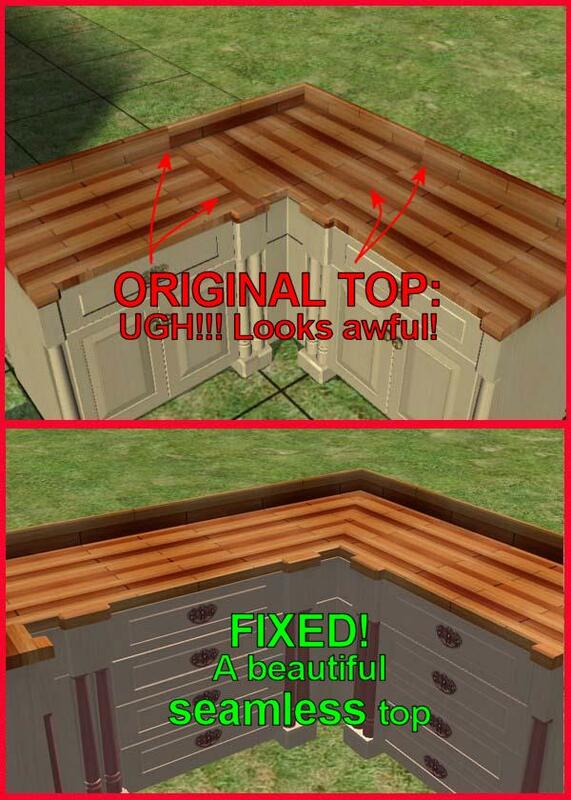 I'm having the same problem with the missing junction/corner piece. I haven't checked all three sets yet, but since I get the same message as posted above on the Counter Culter set, I'm thinking it's effecting all three of them? Do you have any idea what happened there? Everything else about the counters is pure wonderfulness and I'm so glad you guys are able to do such cool things to expand the game. Oh, what a cute sign...! You're great! Thanks so much.